I have been inspired lately by all the new ways to dye or decorate Easter Eggs. It seems the traditional way we have been dying eggs is not good enough these days – wink! I have to say, I thoroughly enjoyed exploring these Watercolor Easter Egg Designs – it’s just not for kids anymore! 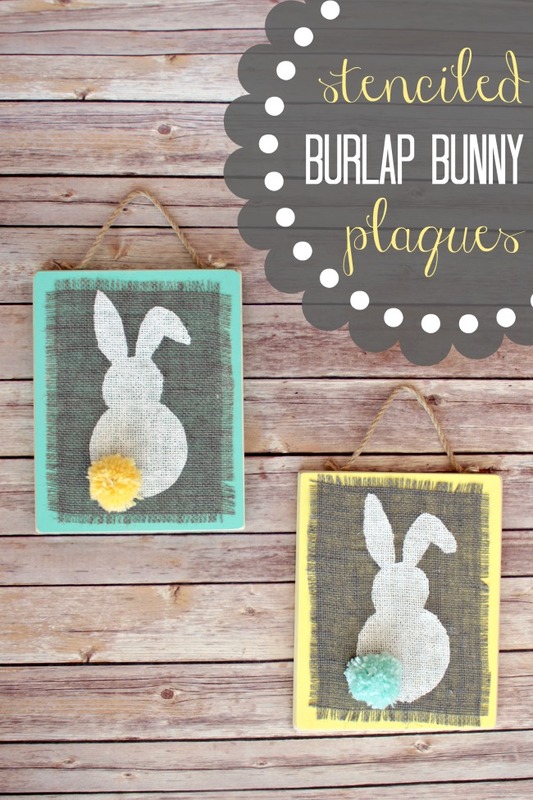 Not only is Easter a fun time to decorate and celebrate, but Spring as well! I love all the soft and bright colors of this time of year! WATERCOLOR PAINTS ARE NOT FOR FOOD PRODUCTS AND MAY CONTAIN LEAD – DO NOT PAINT ANYTHING YOU OR YOUR CHILDREN INTEND TO EAT! These would be perfect for Blown Out Eggs like they do here. My inspiration for my Easter egg designs came from this…my dad’s well-used watercolor paint tray. He was a very talented painter who sadly is unable to paint anymore. My mother gave me his tray last week – many wonderful paintings came from this tray. You can see some of his work in this past Father’s Day Post! Since I am also artistic and did a little painting when I was younger…watching and learning some of his techniques. I thought I would try a few to see if they would work on eggs as well. The one thing about watercolor paint is that it is hard to control. Unlike other paints, it wants to spread. The secret to the Crackle Egg look is plastic wrap! Whatever brand you like. Simply paint the egg completely with heavy pigment then crinkle the plastic wrap and dab it all over the egg. The wrap removes the paint in some areas and collects it deeper in others. Let dry without smudging, it if you can. Pretty cool looking! And yes, my dad did this on his paintings! Tip: I found it easier to take the egg carton and turn it upside down, to hold the egg, while I painted. My fingers were getting a little messy! The Speckled Egg was done in a similar technique. Completely cover the egg with paint, dip a small bristle brush in water and sprinkle the water on the egg. Watch the pigment become diluted as the water hits the egg. As I said, watercolor paint can be hard to control, but one of the cool things about it is the interesting effects it creates when the colors bleed together. For the Bleeding Egg (looks a little tie-dyed) I first dipped the entire egg in water, then dabbed the egg with heavy pigment. It takes a few minutes, but the colors begin to bleed together. Add additional paint and colors as needed. Hope you are inspired to decorate your eggs creatively this Easter! Give a non-candy Easter gift with these Carrot Sugar Scrubs! They come with a free printable gift tag. So cute! You might also like these 18 Creative Easter Peep Ideas, Peeps Pudding Pops or this Sunflower Peep Brownies! Visit Oh My! Creative’s profile on Pinterest. « 20 DIY Vintage Suitcase Decorating Ideas! We featured chevron Easter eggs today…Now I want to do this too! Thanks, Kristin. Loved your egg idea too! Thanks Erin…I love how they turned out! Thanks so much for the wonderful idea! 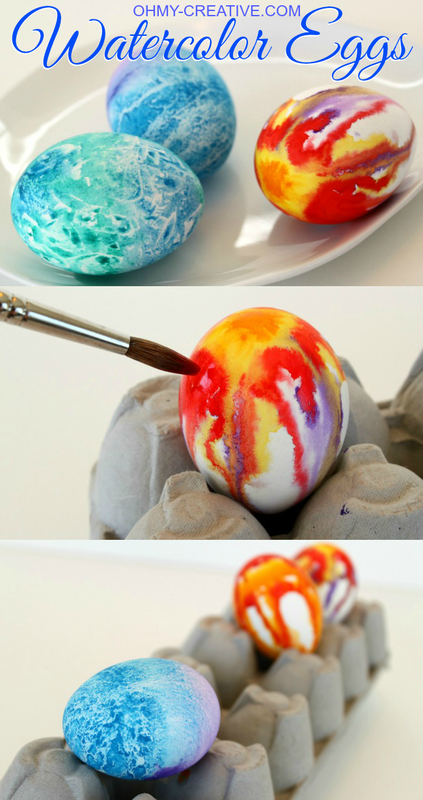 I am a painter with tons of watercolor paints lying around and, like yourself, have been inspired by all the new and wonderful ways to decorate easter eggs so this is an awesome idea for me to try out this year! a far cry from my hard-boiled, drawn on with wax crayon, then dyed fully days as a child lol! Funny! Somehow as Easter approches I think there will be a few wax crayon eggs here! These are absolutely beautiful. I have never been big on painted eggs because of the mess, but the end result is so pretty. These are unlike any other painted eggs I’ve seen this year on blogs. Thanks Claire! They were a little messy to make, but worth it! Wonderful – I love your eggs! Just to let you know I featured you on homework today! 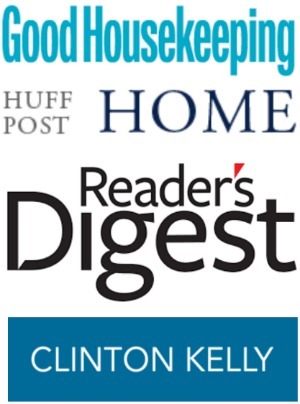 Pop by for a featured button. They are all so beautiful! I didn’t do any this year, just chocolate eggs and cookie eggs and other goodies. These inspire me to want to make some though! Great idea to use the empty carton. Have a wonderful weekend. Thanks Jacqueline! Most years I’m not inspired either, but I really enjoyed experimenting with these techniques! We too have been experimenting with watercolors and egg this week, and I loved the results. My daughter loved how colors, merged, changes and weeped. I love these.. It can also be a fun activity with kids.. I hope you had a wonderful Easter.. 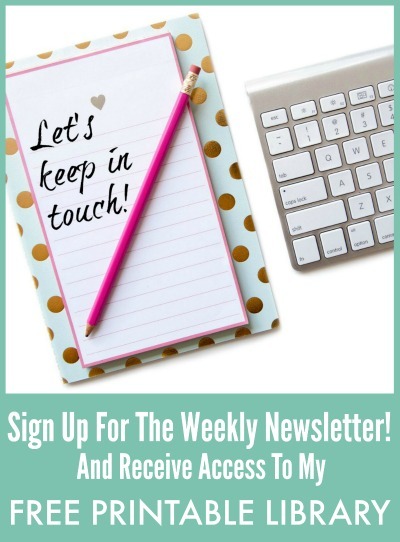 Thanks for linking up at friday fun party.. So, so pretty! Just like art. I would not have the heart to peel them! Thanks, Shannon! I am not sure these are really to eat. More decoration or inspiration! Thank you so much! The eggs turned out so pretty and yes, I was experimenting with my photography that day! Happy with the results! 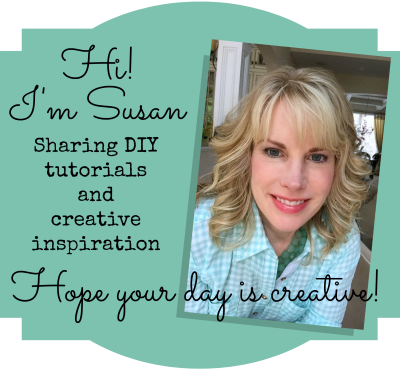 Beautiful, Susan! Love the “bleeding” egg! Just gorgeous! Would there be a way to maybe seal the eggshell after painting this so the art would not be ruined if it got water on it after you were done? Thank you, Naomi! Of course you would have to remove the contents of the egg before painting, but I think you could find a spray varnish at Joann Fabric or Michael’s that would seal the paint.